FLYING KICK FITNESS CENTER is dedicated to the development and education of the whole student through training in Tae Kwon Do. Emphasis is placed upon improving the potential of each student. FLYING KICK is unique due to the special curriculum developed by Master Al-Atrash. The Children’s Program seeks to teach courtesy, self-control, and self-esteem. It also emphasizes the philosophy of Tae Kwon Do as a defensive art. 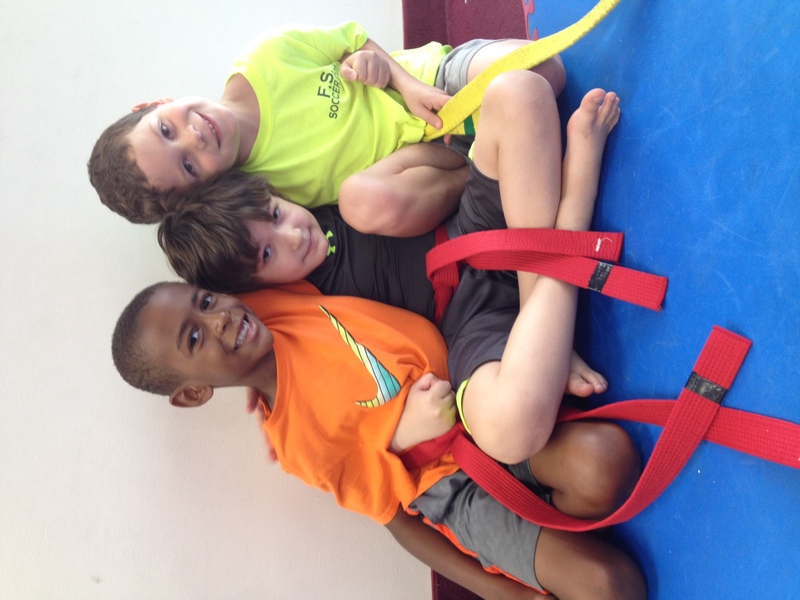 Ninjas: For 3 year olds only, this program is a great way for little ones to learn about trust, following directions and some of the basics of Tae Kwon Do. This class is taught in a fun, enjoyable way and includes games as part of the lesson plan. This is a 30-minute class. Emphasis is on trust and fun!!! 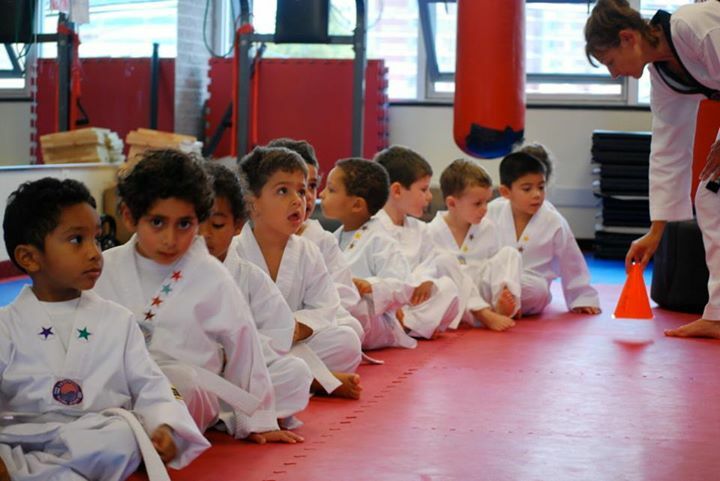 Little Dragons: This class is for 4 years olds and follows the same type of routine as the Ninja program but with more emphasis on structure and on learning more of the basics of Tae Kwon Do. Children learn to follow directions, and boundaries are set in an appropriate way. We also play games that relate to the lesson plan. 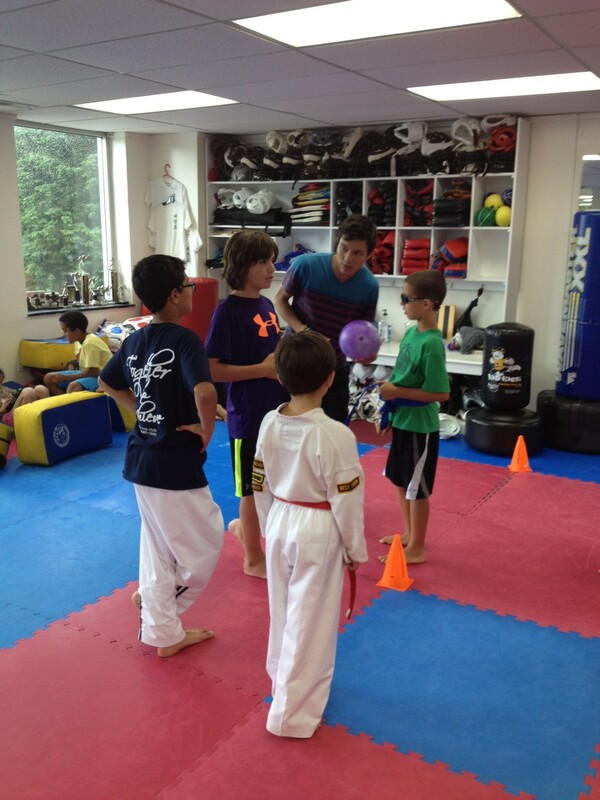 This class emphasizes Tae Kwon Do basics, listening well and having fun!!! The class is 45-minutes long. Children’s Classes (5 and Up): These classes form a Tae Kwon Do curriculum that develops a child’s physical and mental abilities. 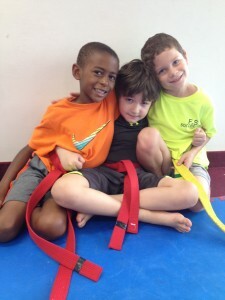 Classes are fun but very structured and are always taught with the safety and well-being of each child in mind. 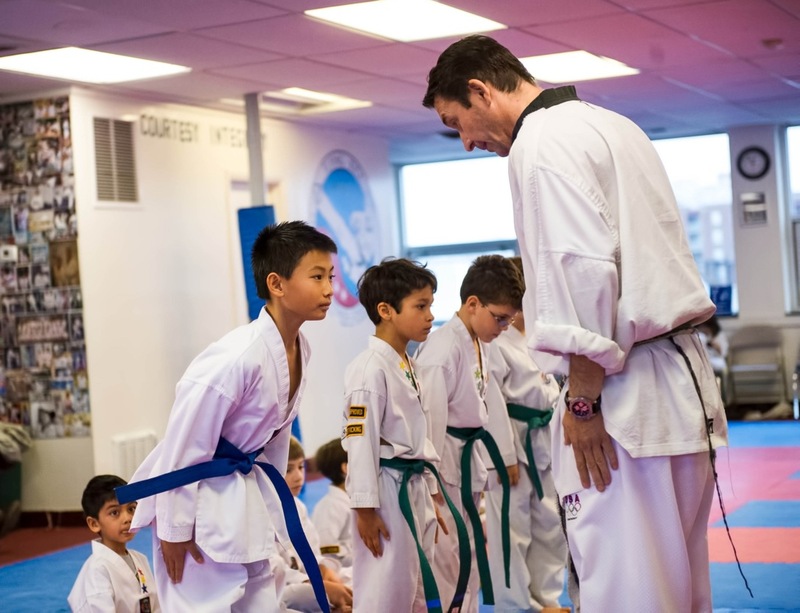 Emphasis is based on exercising and learning Tae Kwon Do techniques at each child’s specific rank in a positive environment where each student can grow at his or her own individual speed and learn according to his or her needs. In addition to the physical abilities children are taught that Tae Kwon Do is a defensive martial art. The meaning and importance of the five tenets of Tae Kwon Do are emphasized: Courtesy, Integrity, Perseverance, Self-Control and Indomitable Spirit. Each class is 40-60 minutes. Red/Black belt: This curriculum is based on the adult curriculum. 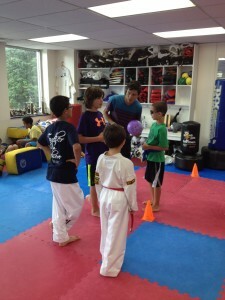 These classes are the most popular and the most challenging programs at Flying Kick. 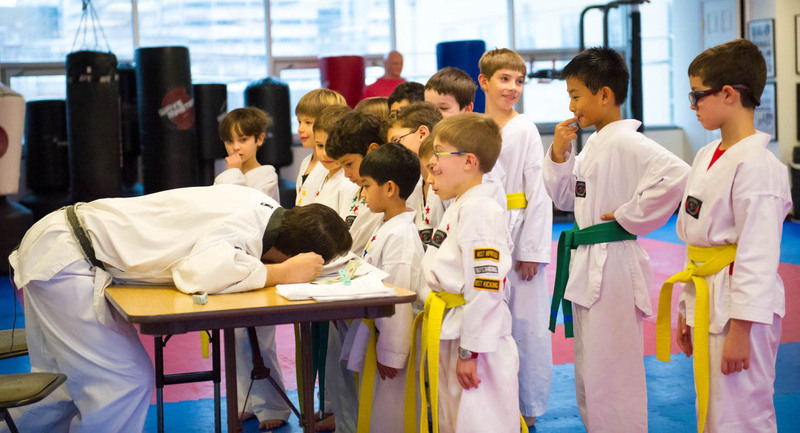 Therefore, we spend a lot of time with our children on learning and refining their ability to help them set goals for earning a Black Belt, a great achievement that will have a positive impact on them for the rest of their life. 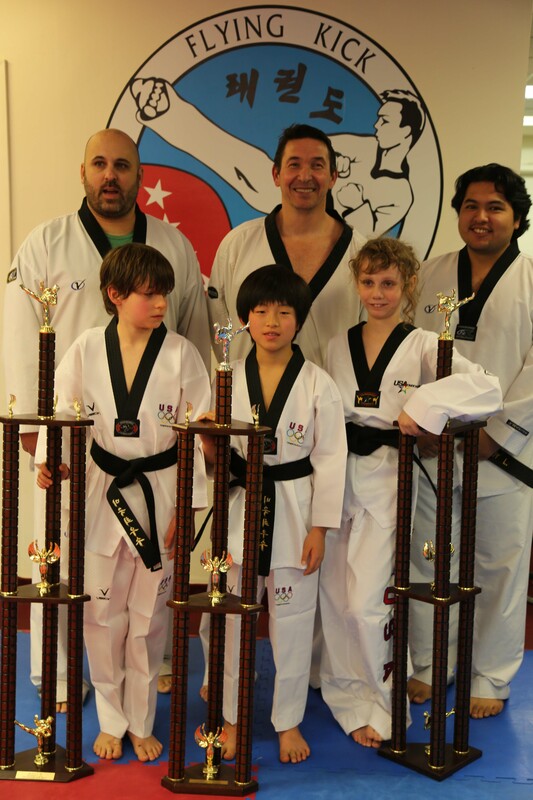 Black Belts have already achieved and learned much through their Tae Kwon Do training, and are challenged with the most difficult curriculum,. Each class is 50 minutes plus. Our curriculum and our positive, professional mode of instruction is recognized by leading Washington, DC area private schools and by Montgomery County, Maryland schools where we offer after school programs. To find out more and learn which schools offer our after-school programs check out our after-school programs.